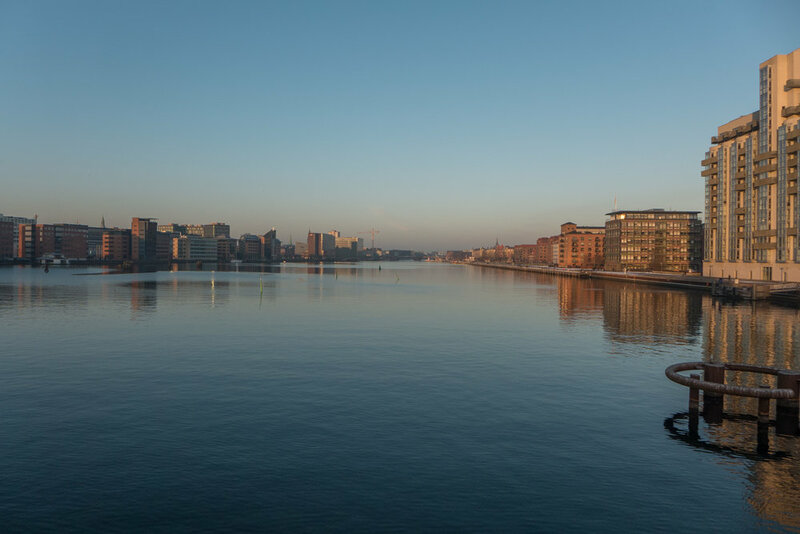 Obviously the harbour is a major asset for the city … after all Copenhagen was established here and prospered because of the harbour for both merchant trade and for a naval port. The south part of the harbour below Langebro - the major bridges over the harbour at the south end of the old city - was busy wharves and commercial basins through into the 1950s and 1960s but, in terms of the history of the city, was relatively new as the land on either side had not been reclaimed from the sea until the late 19th century. 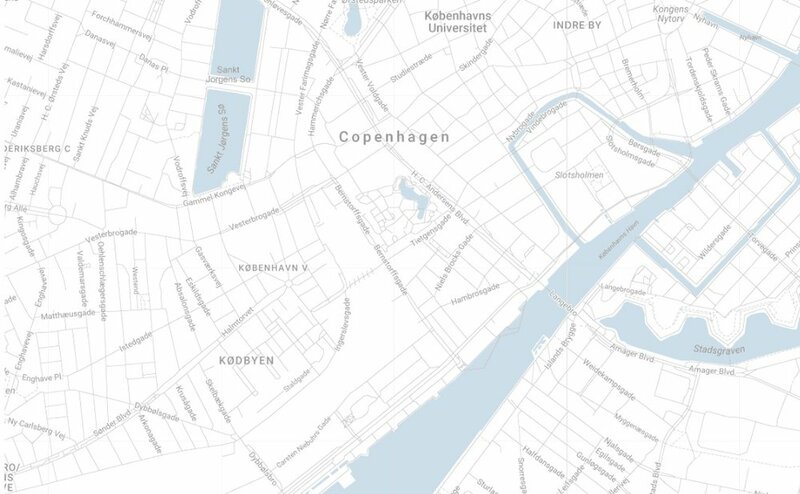 Before that, this part of the harbour was a wide bay between Frederiksberg on the north shore and the Island of Amager on the opposite side. These extensive port facilities were linked to a rapid growth in the population from 1850 or 1860 onwards so new meat and fish markets were built here to handle the large quantities of food coming into the city and then later there were wharves for the coal and diesel brought in for the power station. 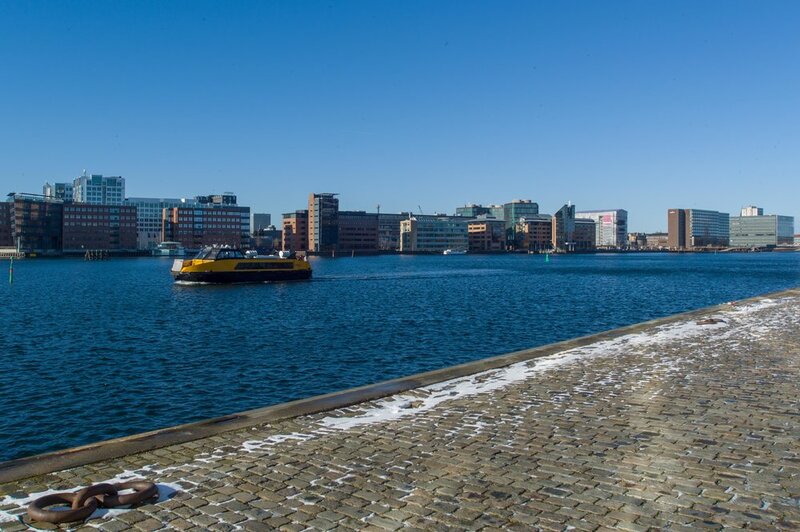 Actually the harbour is still amazingly wide … some 330 metres wide just before Fisketorvet. There was extensive new development in the late 20th century - mostly for offices but also a hotel on the city or west side - on Kalvebod Bygge below Langebro - and on the east or Amager side - along Islands Brygge - there is a line of large older apartment buildings, set back behind the commercial wharves, that was workers housing dating from around 1900 - but, since the late 20th century, land and some of the large redundant industrial buildings further south, including massive silos, have been converted to apartments and there are new apartment buildings on south under construction and nearing completion. Generally the architecture is inoffensive but generally flat roofed and large and depending on cladding rather than architectural form for any effect. It’s not that any outrageous or highly novel buildings are needed … people usually get tired of anything Post Modern fairly quickly or, come to that, get tired of anything trying too hard … but a little more colour and certainly more architectural features that create light and shade to have an effect across the blocks might have helped and more use of interesting sight lines through to buildings behind would reduce the impression of a string of boxes. Not much of this is bad architecture - just slightly boring architecture and easy architecture that barely does justice to the amazing setting. Future generations of architects and builders will probably look at this as a wasted opportunity.